Tor has always followed the rules. He understands his place in Kin society – the bottom, where you get the work done and don’t ask questions. And he’s never going to be the same again. Raised in Captivity is a short science fiction novel about two future legends and how they changed each other forever. Divin is th e local evil sorcerer, and all he wants is peace and quiet and interesting subjects to experiment on in his isolated tower. Is that so much to ask for? All Matilda wants is to reverse the name-day curse that has dogged her steps every day of her life. But when Matilda comes to Divin’s doorstep looking for work as his housekeeper, everybody gets more than they bargained for. 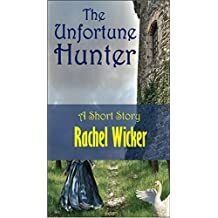 A light-hearted short story that answers the question: What if your fairy godmother’s idea of happily ever after… makes you miserable? Tomoe is the adopted daughter of the great spider-lady Kurotsuki no Oko, who rules the mountain and all the monsters on and under it. On all that mountain, Tomoe is the only human, living among ghosts, ogres and powerful yokai who consider human meat a delicacy. But the monstrous spider-lady has a purpose for Tomoe, a purpose she has been weaving towards for years. Can Tomoe choose her own path? Or is her fate woven too tightly to change? 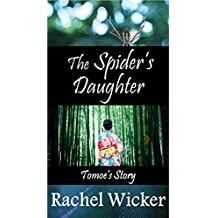 A fantastical Japanese-style ghost story by Rachel Wicker, author of Raised in Captivity and The Unfortune Hunter.